This tree was felled on this spot. The majority of the environmental impact is mostly relegated to the area it would have impacted had it fallen on its own. 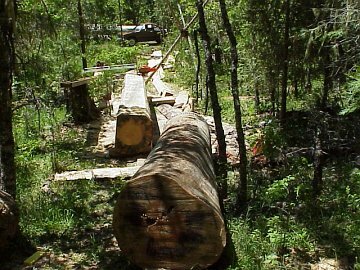 There is only a short window of time that milling "beetle kill" pine is profitable. The "blue wood" is highly subject to decay when exposed to the elements.